The latest in our Introducing series looks at Tour 2018’s revival of Verdi’s La traviata. In this short video we talk to designer Hildegard Bechtler about her inspiration for the sets and costumes of this stylish production. Determined to leave her scandalous Parisian life as a courtesan behind her, the beautiful Violetta Valery seizes a chance for a new life and love with the adoring young Alfredo. But when Alfredo’s father pays Violetta an unexpected visit their romantic country idyll is cruelly shattered, forcing Violetta to make an impossible choice between duty and desire. The Romantic opera par excellence, La traviata is equal parts tragic romance and acute social commentary. Verdi’s only opera to be set in his own day is still a “subject for our time”, as the composer himself wrote, a drama that captures both the hypocrisy and dishonesty of “polite” society and the bravery of those who refuse to bend to its rules. At the centre of the opera are lovers Violetta and Alfredo – characters rich in experience and contradictions – whose music embraces the full gamut of human emotion, from exuberant drinking songs and passionate love-duets to ecstatic solo arias, all set to some of Verdi’s best known and most enduringly popular melodies. 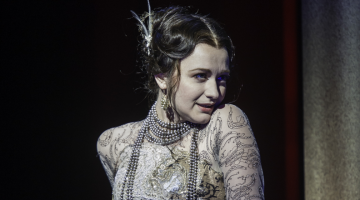 Tom Cairns’ elegantly updated production of La traviata has been widely praised by critics, who have hailed this ‘modern-dress conversation piece’ as ‘fresh and thrillingly unfamiliar’, praising its ‘deep, contained sadness’ and its complete lack of either melodrama or sentimentality. Hildegard Bechtler’s moodily beautiful designs place us in a contemporary no-place and time, where nineteenth-century glamour and excess meets contemporary minimalist chic. It’s a stylish frame for an emotionally-charged production that, according to The Guardian, ‘places Violetta’s tragedy at its centre’. Verdi’s autobiographical relationship to his subject matter – his relationship with soprano Giuseppina Strepponi exposed the unmarried couple to public hostility and scandal – is evident in the insight he brings to his characters. In many ways La traviata, with its passionate, defiant heroine and delicate musical realism, is the beginning of modern opera. 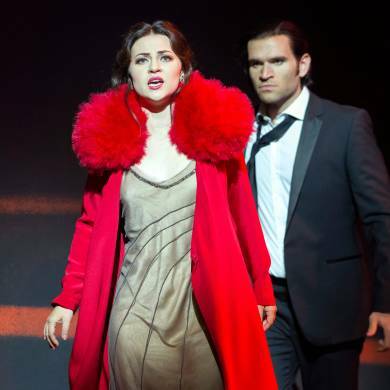 Cairns’ production brings this modernity to the surface, giving us a traviata for a new generation. Sir George Christie’s original vision for the Tour in 1968 was to nurture new talent by providing performance opportunities for emerging artists. We are proud to still be delivering just that. 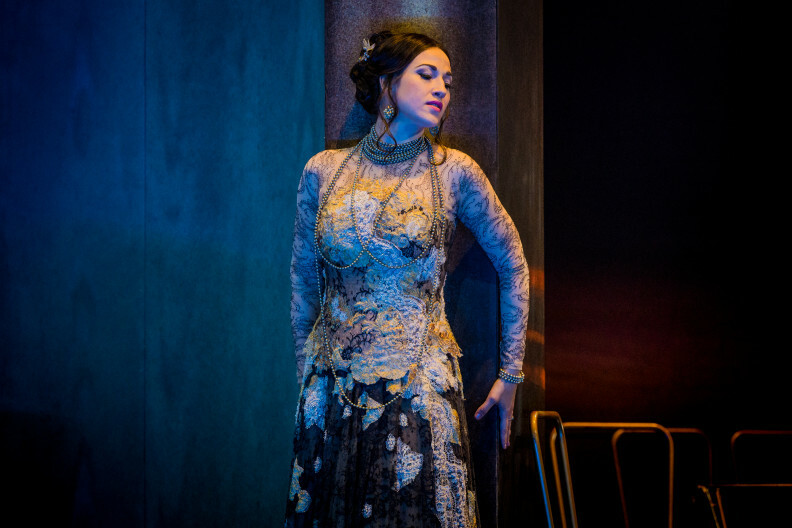 In La traviata we have some key Glyndebourne and UK debuts from fresh talent including Mané Galoyan as Violetta, a young Armenian soprano in her third year at the Houston Grand Opera Young Artist Programme as well as Emanuele D’Aguanno (12–21 October) and Luis Gomes (24 October–30 November) taking on the role of Alfredo. We will also be joined by Noel Bouley, an American baritone, as Giorgio Germont who covered the role of Giorgio Germont in Festival 2017. 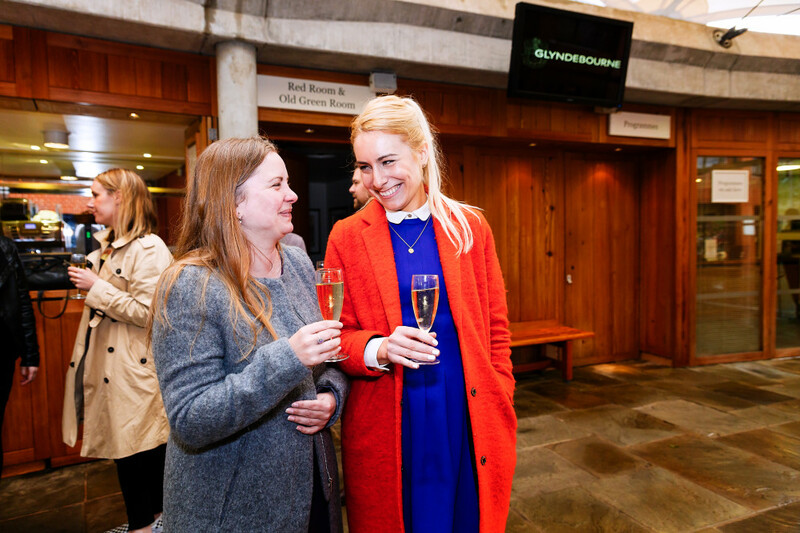 Cover roles in the Festival and the Tour provide key development opportunities for emerging singers at Glyndebourne. The clarinet solo that introduces Violetta’s letter writing scene: Listen out for the beautifully hushed clarinet solo in Act II as Violetta writes a letter to Alfredo. A crossfade between personal regret of lost love and a call from the grave, this rapt music is abruptly interrupted by his arrival. The striking use of offstage and onstage music: The Act I Drinking Song has a prolonged contribution from a large offstage band getting the party going alongside its colleagues in the orchestra pit. There is also an interesting onstage musical addition in the gambling scene in Act 2 when the gypsies’ dancing entertainment comes complete with both the dancers and some of the guests playing tambourines to add to the fun. The tranquility of Violetta’s final solo aria: In Act III Violetta’s aria Addio del passato, in which she accepts that she is going to die without seeing Alfredo, is abruptly broken by a raucous carnival procession celebrating life outside her room and heralding the return of Alfredo and the doom-laden denouement of the opera. 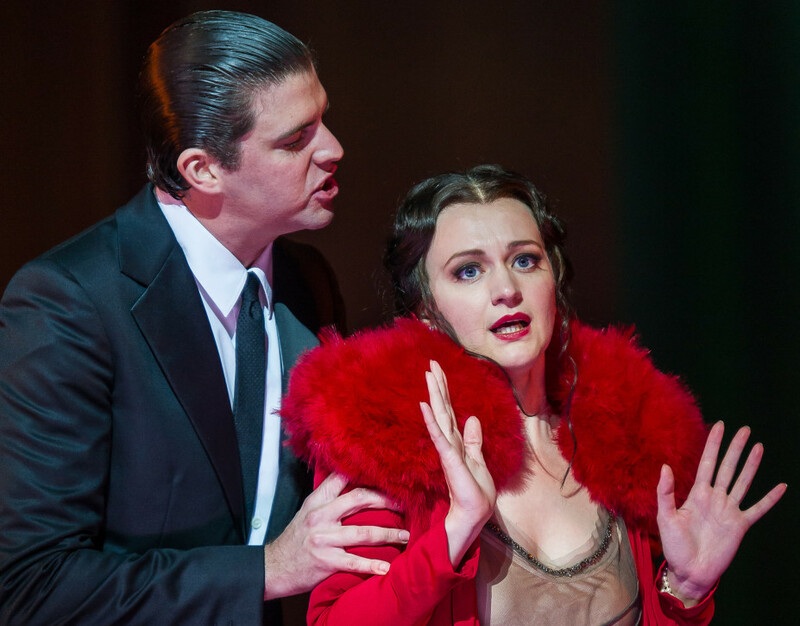 La traviata is on stage at Glyndebourne from 12 October – 2 November. Here are just some of the times that La traviata had a pop culture moment.